Chinese tattoos have become a raging phenomenon among tattoo enthusiasts of the western world. Chinese tattoos offer beautiful characters with a sense of the exotic and often much deeper meaning than that which lies on the surface. The art of tattooing has been known in China for thousands of years. Tattooing in China is called Ci Shen (Or Wen Shen), a term that means literally “puncture the body.” Although the art has been known in China for ages, it has for the most part been an uncommon practice. Throughout Chinese history tattooing has been seen as a defamation of the body, something undesirable. Water Margin, one of the four classical novels of Chinese literature, does reference tattooing. Water Margin tells the stories of bandits of Mount Liang area of China during the early 12th century. The novel talks about the 108 companions of the historical bandit Song Jiang. Three of these characters are referenced as having tattoos covering their entire bodies. 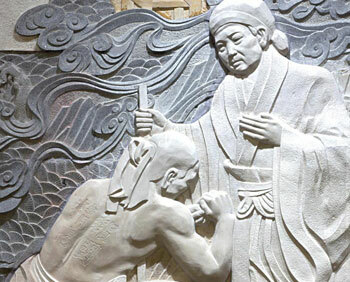 The most famous tattoo in Chinese history comes from the legend of the Chinese general Yueh Fei. Yueh Fei served the South Song Dynasty. During battle with northern enemies the Field Marshall under whom Yueh Fei served betrayed the South Song and went over to the enemy. At some points in Chinese history Chinese tattoos were also used to mark criminals. Criminals convicted of a severe crime would be ordered to have a tattoo printed on their face and exiled into a faraway land. Even should the criminal ever return the tattoo would mark them forever as a criminal? This form of punishment was known as Ci Pei (Tattoo/Exile). In modern China Chinese tattoos have grown somewhat of a stigma as being affiliated with organized crime and the criminal underworld. Although tattooing does not have a strong tradition among mainstream Chinese, many Chinese minority groups have much stronger tattooing traditions. Strongest among these are the Dulong and Dai tribes, along with the Li people of Hainan Island. Tattooing among women of the Dulong group, who live along the Dulong River, dates back to the Ming Dynasty some 350 years ago. During this time the Dulong were under attack from many of their neighbors, and the women would often be taken as slaves. The Dulong women began tattooing their faces in reaction. It was thought that the tattoos would make them uglier and less likely to be raped. This tradition has continued into modern times despite the fact that the Dulong are no longer under attack from neighboring tribes. At the age of 12 or 13 all Dulong girls are tattooed on their faces. This is a rite of passage among Dulong women and is seen as a sign of maturity. 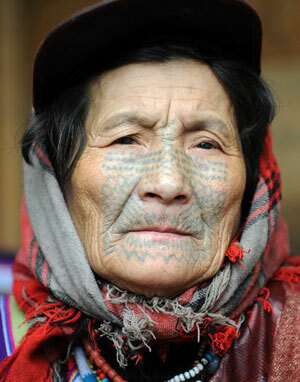 The Dai people of China have an ancient tattooing tradition. Both men and women among the Dai are tattooed. Dai women are generally tattooed on the backs of their hands, their arms or have a small dot tattooed between their eyebrows. 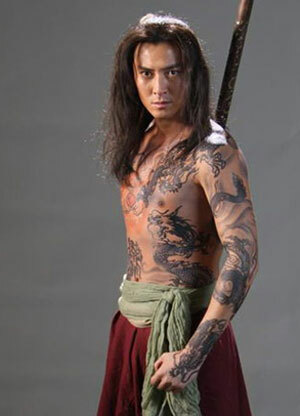 Among Dai men tattoos are seen as a sign of strength and virility. Generally tattoos will be made in such a way as to accentuate and draw attention to their muscles. Although there are no fixed traditional designs among the Dai people, most commonly the tattoos will be of a ferocious beast such as a dragon or a tiger. In ancient times Dai tattoos were given to young children of the ages of 5 or 6, however it grew to be more common to be given about the ages of 14 or 15, sort of a rite of passage into adulthood. Tattooing among the Dai is still practiced to this day. Starlets want to marry into wealth not only for financial security but for social status. Where love fits into the equation is every couple's closely guarded secret, but public obsession hints at conflicting values. As a 12-year-old, I clearly remember my father taking me to our local bank and setting up a savings account for me. I recall receiving my first bankbook and my dad teaching me how to manage it. This was indeed a proud moment. In just a few years, it is theoretically possible that the number of English-speaking Chinese will outnumber the populations of all English-speaking countries in the world, combined.